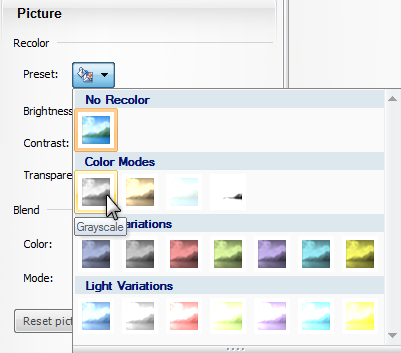 The Recolor options let you quickly change the color, brightness, contrast, and transparency of a picture. Preset: Use this selector to alter the color of the picture. The choices you see here complement your quiz's theme colors, which are part of your quiz’s design theme. 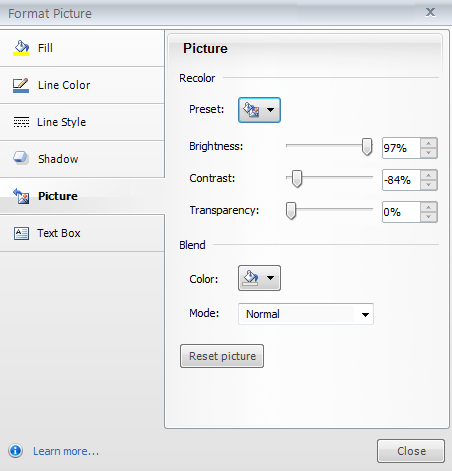 The Blend options give you even more control over the color qualities of an image. To apply a color blend, first choose the color you want to use. Then choose a blend mode. Color: Use this selector to choose a color from the Theme Colors or Standard Colors. (The theme colors are controlled by your quiz’s design theme.) For additional color choices, click More Colors. This opens a window where you can select or create a custom color. 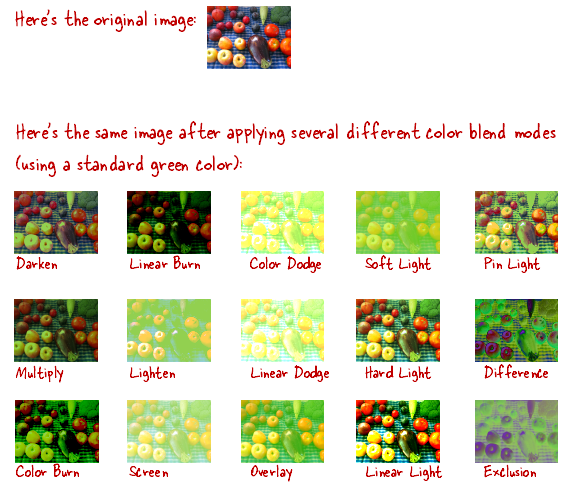 Mode: Use this selector to choose the way the color affects the image you're working with. If you change your mind about the customizations you've made or just want to start over, click Reset picture to return the image to its default settings.